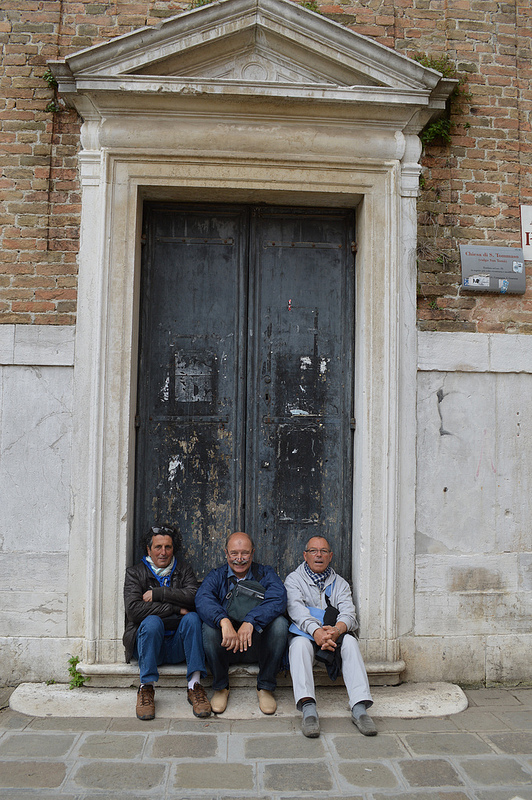 When I was in Venice, I spotted these men just sitting at the base of this beautiful doorway-three friends catching a break probably from work. The were smiling and laughing and seemed to be enjoying each other. True companions.